It is the dawn of a new day, the dawn of a new shift in the evolutionary status quo, which means it must be the dawn of a new franchise for 20th Century Fox. 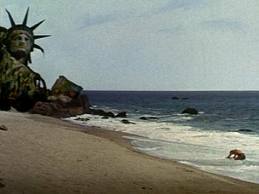 “Planet of the Apes” in 1968 (based on the novel by Pierre Boulle) was one of the most profitable and popular movies of that year. It has gone on to midwife a wealth of sequels, popular references, parodies, and cultural touchstones. It has also been named by the National Film Registry as being “culturally, historically or aesthetically significant”. I don’t think I’ll give away too much about the new movie. Let’s face it, if you know anything at all about the series, or have seen the preview, or have paid attention to the title, you know what it’s about and how it ends. And by the way, I have to emphasize that the movie was very enjoyable in a popcorn sort of way. James Franco plays Will Rodman, a scientist working for a large pharmaceutical company, who develops a new drug to cure Alzheimers. His father, played by John Lithgow, once a brilliant pianist and teacher, is disappearing into the blackness of that disease. 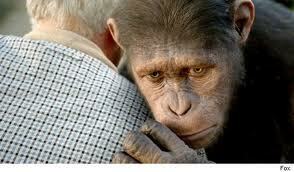 After some success with the tests on chimps, he tries it on his father with amazing results. However, the drug has the unexpected result of increasing the intellect of the chimps to human levels. 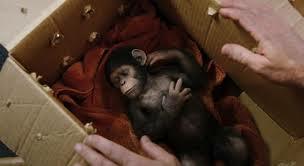 Will adopts a baby chimp from the lab and raises it at home, naming him Caesar. By the age of five, Caesar has attained adult human intelligence but is chafing under the restrictions of not being able to go outside. One thing leads to another, as these things do, and after a disastrous encounter with the neighbors Will reluctantly takes Caesar to a primate facility where he can live among his own kind. However, the real question becomes how to determine just exactly who or what is his own kind. When the keepers at the facility are introduced, we may as well be hearing, “dum– dum- DUMMMMM!! !” on the soundtrack. They are uncaring at best and evil and brutal at worst. Caesar has a rough time of it, but eventually communicates with some of the other apes in a rudimentary fashion. He finds a way to increase the intelligence levels of the other apes there and they….. well, you’ve seen the previews, right? 1. “Get your stinkin’ paws off me you DAMN DIRTY APE! !” This one is my particular favorite. It is useful on the bus, elevated train, and most fun of all – when you are in the security line at the airport and a TSA rep comes toward you. Be sure to say it with the patented Charleton Heston squint and bared teeth. Practice in front of a mirror. You could also wait until you are actually on the airplane to use it. Of course, you will probably end up being escorted off the plane by burly federal marshals at the nearest airport (probably Des Moines) and taking the train. Once you are released. 2. “It’s a madhouse! A MADHOUSE!” That one is useful for just about any situation you find yourself in, particularly at work when your boss is talking to you or you are stuck in a boring meeting and are asked for an opinion. 3. “You did it! You FINALLY DID IT!! Damn you…DAMN YOU ALL TO HELL! !” That one is an all purpose crowd pleaser, but is especially effective if you scream it at the top of your lungs in a crowded elevator. I’m not sure if any of these would be useful on a date. Try it and let me know. 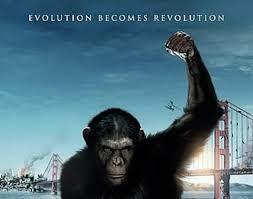 “Rise of Planet of the Apes” is not a sequel, and not precisely a prequel to the Heston flick. 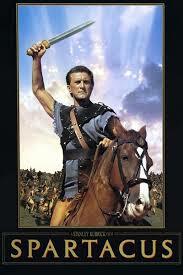 The movie it reminded me of most was not the original, but the 1960 film “Spartacus”. The apes are the gladiators held in slavery, brutalized and forced to perform for their masters. Caesar is playing the Kirk Douglas role. 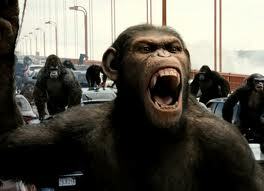 The apes organize around this charismatic leader, and start a revolt which has worldwide effects. 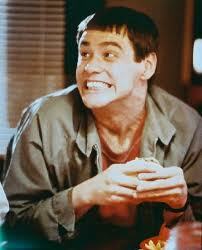 Ok, there is no scene where all the apes standup one by one and say, “I’M Caesar! No!... I’M Caesar! !” That would have been cool. However, I’m grateful that there was no scene with one character trying to seduce another by discussing the morality of eating asparagus as opposed to oysters. Laurence Olivier and Tony Curtis discussing...um...asparagus vs. oysters. The 1968 movie was a big downer. 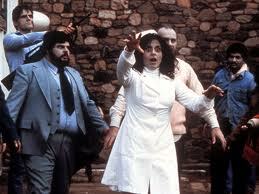 It was shocking for its time; terrifying, with a final gut-wrenching scene which has become iconic in its own right. Surprisingly, the new film can be called “feel-good”. I was rooting for the apes every step of the way. The humans we see are mostly petty, selfish, nasty and cruel. 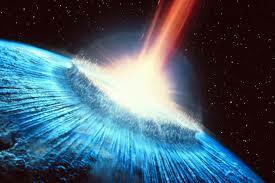 The final scene is not in any way a downer, even though it is obviously meant to presage the downfall of mankind. Everything from the heroic music to the triumphant pose of the apes standing tall in the trees lets you know that the good guys have won the day. Heck, even James Franco’s scientist looks happy about the way things have turned out. I think we have become a bit blasé about our world turning out the lights. The human actors are adequate to very good. John Lithgow’s performance is very touching and the scenes when he is suffering the affects of Alzheimers are heart-rending. 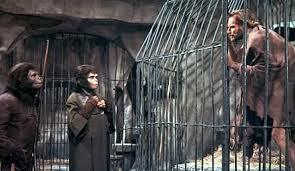 His character develops a sort of parental/filial relationship with Caesar and the look on his face after Caesar has been left at the primate house will bring tears. The most sympathetic and admirable character in the movie is the defacto hero, Caesar. The CGI effect utilized to create expressions on his face, merging the movements of actor Andy Serkis with the ape face is far in advance of any other similar effect I’ve seen. It appears completely seamless. Andy Serkis/Caesar is also the most expressive actor in the film. Andy Serkis (center) wearing motion capture equipment in a scene with Freida Pinto and James Franco. 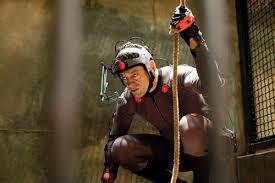 Andy Serkis wearing motion capture equipment in his role as the ape Caesar. One of these days we really won’t be able to tell the graphics from the human actors. To tell you the truth, I’m not looking forward to that day. 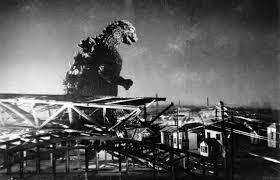 After the final credits start to roll, we get a short scene which fortells the way mankind might be destroyed. Maybe the movie is actually a prequel to the new movie “Contagion”. On second thought, probably not. Gwenyth Paltrow couldn’t have had anything to do with apes. At this point I have to say something about these big special effects movies. It is starting to be a bit disheartening to praise a movie mostly, or totally, on the fabulousness of EFX. The plot, characters and the acting seem to take a back seat much of the time. I was thinking about “Inception” the other day. Look, I was as blown away by the sight of the Parisian street rolling up like a carpet as anyone. But take away all the special effects and what do you have? A guy who wants his wife back, is hired by some rich guy to get something from another rich guy, he hires an elite team to help him do it. You watch them plan and execute every detail of the very complex caper and then congratulate themselves on their success. The only thing left is for the actors to wait for the contract negotiations for the sequel. That pretty much describes “Mission Impossible”, “Ocean’s Eleven” and others too many to name. Maybe it’s just me, but I find it a little depressing. If you have other opinions, I would be happy to hear them. Maybe I just need to take a break. I think I’ll go back to the indies for awhile. Or maybe the silents. Watch this space for further developments. I enjoyed your article. I vote for Prelude to the Afternoon of a Young Chimp on the Planet of Apes, about the first kiss shared betwixt Cornelius and Zira (prequel to original 1968 film).